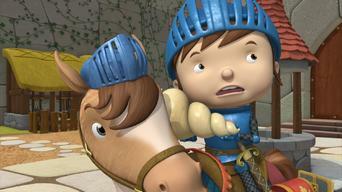 How to watch Mike the Knight: Season 2 (2011) on Netflix Canada! The availability of Mike the Knight: Season 2 on Canadian Netflix can be found in our listings below for each season. If the season/episode you want isn't available, you may be able to unlock it right now in Canada and start watching! Change your Netflix country with a few simple steps and start watching. 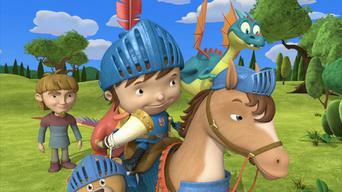 We'll keep checking Netflix Canada for Mike the Knight: Season 2, and this page will be updated with any changes. 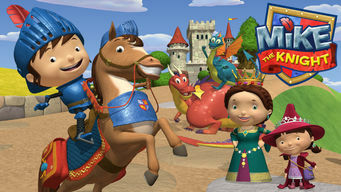 Aimed at preschoolers, this imaginative animated series follows a young knight-in-training who's tasked with protecting the kingdom of Glendragon. In a land of kings, queens and dragons, a little boy practices being the best helper he can be. 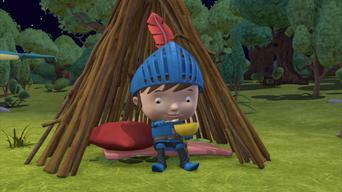 Season 1 of Mike the Knight has 16 episodes. Because different Netflix countries have different availability for episodes, you'll need to check the episode listing below to see which are available in Canada. Mike tries to improve the already perfect Galahad; Mike trains the dragons to be scary but finds that Squirt's better as a friend. Mike is confident he can guard a bunch of bananas without his dragons; Sparkle and Squirt practice being scary dragons. Mike tries to get a special birthday cake for Evie; Mike dresses up Galahad in such a fancy outfit for a competition, the horse can barely move. Mike discovers how much he needs a dragon when he tries to guard a treasure on his own; a birthday surprise puts Mike in trouble with Evie. Mike and Evie battle each other over winning a favor; Mike shows off his tracking skills by getting everybody lost. Mike the knight trainee goes looking for treasure instead of helping to plan Squirt's party; Mike picks Trollee to fight in a knight competition. 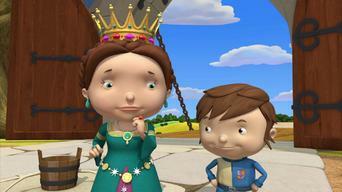 Mike and Evie land in trouble when they get the throne room dirty; Mike becomes trapped trying to rescue Trollee. Mike gets scared when investigating a strange noise by himself; Mike learns that bigger isn't always better when he gets a new shield. The queen is irate when Mike noisily disrupts her peace and quiet time; Mike becomes jealous when his dragons are featured in the newspaper. Mike's newest mission: deliver a sack of jam tarts to the river; when Mike refuses to teach them a signal, the dragons make up one of their own. 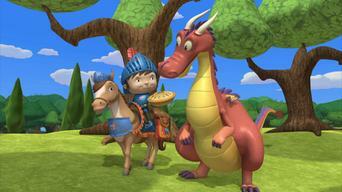 Mike tries to protect the villagers from a monster; Mike tries to train the dragons to be his squires. Mike makes a mistake during a game of hide and seek and learns about responsibility; Trollee attends Mike's sleepover. Mike tries to find his way home from the end of the kingdom; Mike believes a knight's duty is to boss others around, until Evie creates more Mikes. Mike tries to give Squirt an adventure he can turn into a bedtime story; Mike wants Evie to magically turn his fishing rod into a real sword. Mike causes more problems than he solves when he tries to protect Evie; when a reindeer gets sick, Mike must help her get well in time for Christmas. 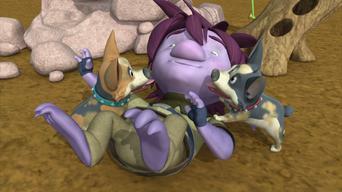 Mike sends the flying Corgis, Yip and Yap, flying away, but doesn't want to admit it; Mike forgets a promise when a special knight plans a visit. 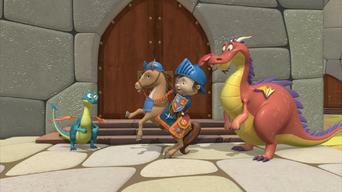 Season 2 of Mike the Knight has 14 episodes. Because different Netflix countries have different availability for episodes, you'll need to check the episode listing below to see which are available in Canada. 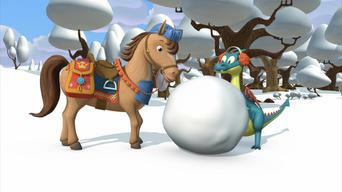 Mike tries to help Squirt become accustomed to snow; Mike finds out what it takes to make Santa's "good" list. The vikings don't like Mike's new collecting hobby; Mike tries to win a game three times in a row by changing the rules. Trollee has trouble getting the corgis ready for a big parade; Mike wants to wear Sparkie's armor to "show and tell" but it doesn't fit. Mike camps out with the dragons overnight; at first, Mike rejects the idea of depicting a wild boar on his flag. The queen and dragons become trapped on a runaway cart thanks to Mike; Mike learns about fear when he encounters a scary monster. Mike and Pa Troll seek a treat to make a pie; Mike goes on a quest to find a wizard's treasure in the maze caves but won't let Evie come along. 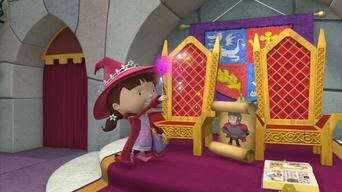 Evie uses magic to make her imaginary knight Sir Super come to life; Mike tries to build a new castle. Galahad ends up covered in magical polka dots; vikings land in Glendragon and Mike is sure they're up to something sinister. Asked to tell a story at the queen's party, Mike makes up a tale that isn't true; Mike sets out to win more medals than anyone else. Mike wants to be helpful but insists on doing everything on his own; Mike instructs Squirt to act fierce but he scares the villagers. 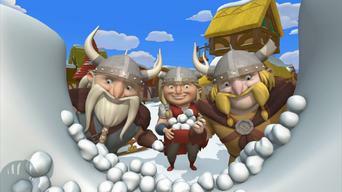 Mike tries to find the vikings after they steal Sparkie's cooking pots; Mike tries to beautify a pot with paint, flowers and magic. After losing the Jewel of Glendragon, Mike vows to find and return it; Mike's efforts to do a favor for Trollee backfire. Mike tries be Evie's protector but she doesn't want his services; Mike accidentally gives the power of flight to Yip and Yap. 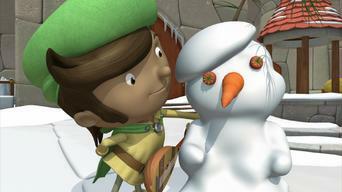 Mike tries to help a sick reindeer get well in time for Christmas; Mike forgets about his plans with Trollee when a famous knight comes to town.